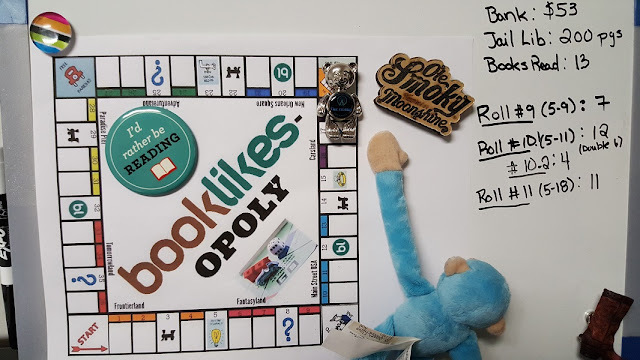 Ani's Book Abyss: Booklikes-opoly | Roll #11! Due to some IRL situations, I was extremely happy with my luck for the tenth roll. I wasn't sure if I'd be able to roll on my next available roll day, so I was happy to have rolled a double, ending up with two books to read over the weekend while out of town. Unfortunately, I failed to keep in mind that I would probably be extremely busy while out of town, so while I didn't have to fret about rolling again after 48 hours... I didn't quite have the time I needed to finish reading both of my books for my rolls. 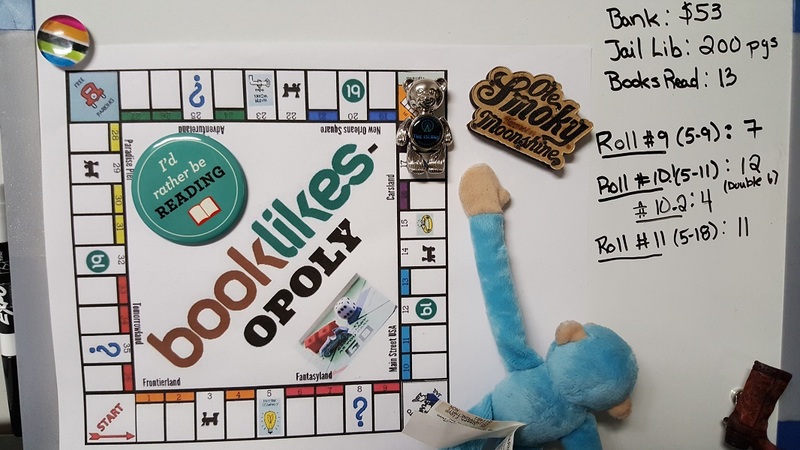 And since I fully intended to finish both books, the activity for Roll #11 got a little delayed... more than I would have liked. It pretty much took me a whole week just to finish reading The House of Riverton alone; so fortunately, I breezed right through Two Guys, as it was a pretty easy read, even if I ended up not really caring for it. 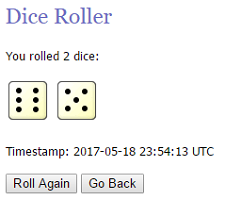 Roll #10.1: Rolled a Double 6 = 12. Moved from The Monorail (29) to Frontierland 4. Read The House at Riverton by Kate Morton. Click on book title for review. This book fits the game space in an obvious way via the book title. Roll #10.2: Rolled a 4. Moved from Frontierland 4 to Mystery Square 8. Read Two Guys Detective Agency by Stephanie Bond. Click on book title for review. This book is tagged mystery on GR. 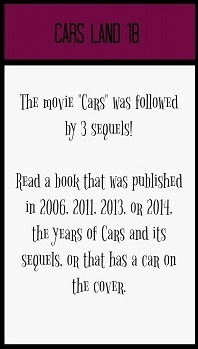 I rolled an 11 and moved from Mystery Square 8 to Cars Land 18. I'm... not entirely sure what's going on with Magnetic Monkey... I suppose some of his over-energetic activity is catching up with him. Poor guy is barely hanging on. At least Teddy Bear game piece is staying in place. Maybe Monkey is just a little upset that he doesn't have to help Teddy Bear sit in place this time? Anyway, for this particular game space, I've decided to go with the publication year rather than look for a book cover with a car on it. Off the top of my head, I can't really think of one. So I'm going to go with The London Deception by Addison Fox which was published in 2013. I'm trying to work on series that I've started, after all, and since I started reading The House of Steele series, I figured I should make an effort to finish it. The London Decpetion is marked at 282 pages on my Kindle book, which will award me $3.00 upon completion. Since it's such a short book, I'm hoping that I'll be able to roll again in two days and move forward. Meanwhile, if I can manage to finish reading it before I have to roll, maybe I can start another short novella I'm meaning to read. Truthfully, I had been hoping that a bunch of other books would get a chance, but alas, none of them fit the publication year. I'll have to cross my fingers and hope I roll another ideal square so I can get some of my 2017 TBR reads read.